So long story short, my 446 burned in a huge wildfire about a year ago, but the attachments are nearly all unharmed. My question is, what else fits these attachments? I have a mower deck, front blade and homemade weight that all hook up to the front hitch. Also a hydraulic tiller, rear blade and homemade log splitter that hook up to the 3 point on the back. Looking for a snowblower if this all works out. I am willing to scavenge the 3 point off the toast tractor with a new/rebuilt lift cylinder if needed. Is there another machine or maybe an adapter to something else so I can still use these attachments? I'm just looking for something to purchase although I may be able to fabricate something. Sad to see that and best wishes as you work through any remaining issues with all this. The attachments off the 446 will operate on pretty much any 220-226 and 444-448 Case/Ingersoll tractor. The 3 point, Tiller, blade, and log splitter would likely work well on an Ingersoll 3000 or 4000 series, also, but maybe some more information on each of those pieces would help us confirm that for you. 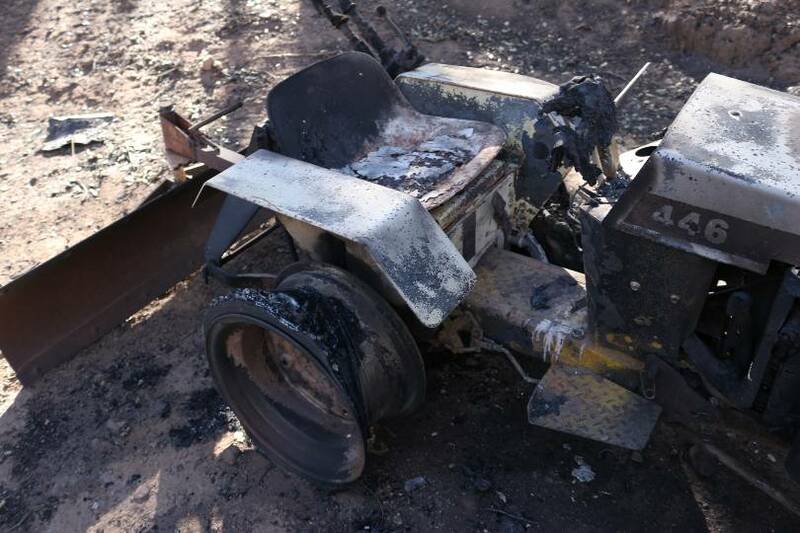 There are ALLOT of good salvageable parts on the burned out tractor.. There was someone last week looking for those pancake side mufflers and willing to pay GOOD money for them. 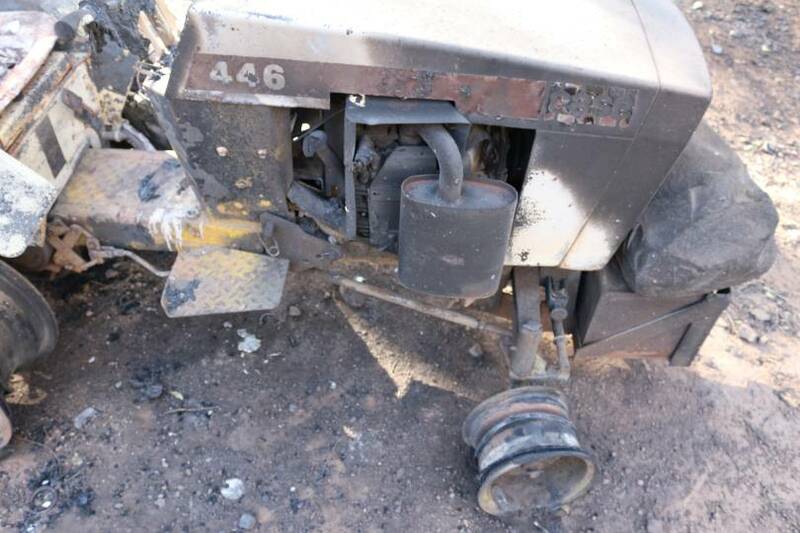 Hopefully you can part out the tractor and recover some of the cost.. It would be interesting to know if it got hot enough to melt or warp any of hte aluminum parts, like the oil cooler, etc. The Rear end under that tractor is worth $100 -> $250 depending on how desperate someone is to get a tractor up and running.